Be the first to share your favorite memory, photo or story of Shauna. This memorial page is dedicated for family, friends and future generations to celebrate the life of their loved one. 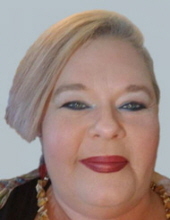 ANDERSON, IN- Shauna C. (Anderson) Griffin, 41, passed away unexpectedly at her residence on Wednesday, March 20, 2019. She was born on November 16, 1977 in Morehead, Kentucky to Dennis and Mary Jo (Blair) Anderson. She attended Highland High School where she later received a GED. Shauna was a Certified Nurse’s Aide and was last employed at Community Northview Care Center in Anderson. She was a lover of animals, and enjoyed karaoke and 80’s music. Shauna was a people person and was always willing to help someone if she was able. Services honoring Shana life and legacy will take place at 6 pm on Sunday, March 24, 2019 in the Owens Funeral Home, 412 North Harrison Street, Alexandria. Cremation will follow the services. Friends may call at the Owens Funeral Home after 4 pm on Sunday prior to the services. Memorial contributions are suggested to the Animal Protection League, 613 Dewey St, Anderson, IN 46016. To send flowers or a remembrance gift to the family of Shauna C. Griffin, please visit our Tribute Store. "Email Address" would like to share the life celebration of Shauna C. Griffin. Click on the "link" to go to share a favorite memory or leave a condolence message for the family.